There’s more in this small book than in many larger volumes. Mary is a great psychotherapist, and her writing is so direct and evocative…She’s such a sharp lady with a tender heart. 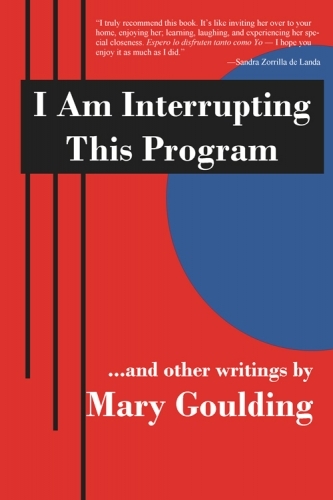 The pioneering creator, with Robert Goulding, of Redecision Therapy, Mary Goulding has never been one to mince words. I truly recommend this book. It’s like inviting her over to your home, enjoying her, learning, laughing, and experiencing her special closeness. Espero lo disfruten tanto como Yo — I hope you enjoy it as much as I did. In her latest book, she discusses many important things, from practical applications of Redecision Therapy to atheism in America, the promulgation of ignorance about Cuba (and other nations), hatred of the poor and, especially, growing old. These topics and others fill the pages of this slim book. Provocative, poignant, and passionate, hers is a unique voice still hopeful that we can climb out of our apathetic haze to answer the crisis that is our world at a crossroads.